Does Excess Caffeine Cause Joint Pain? Too much caffeine might have several side effects, but clinical evidence suggests that joint pain isn't one of them. Joint pain has several potential causes, mostly associated with forms of arthritis, such as gout and rheumatoid arthritis. While there is no direct link between too much caffeine and joint pain, caffeine can play a role in relieving some forms of joint pain. The McKinley Health Center notes that about 300 milligrams of caffeine -- 2 to 3 cups of coffee -- daily is generally considered safe. Anything more can lead to side effects such as sleep disturbance, restlessness, an increased heart rate and stomach discomfort. 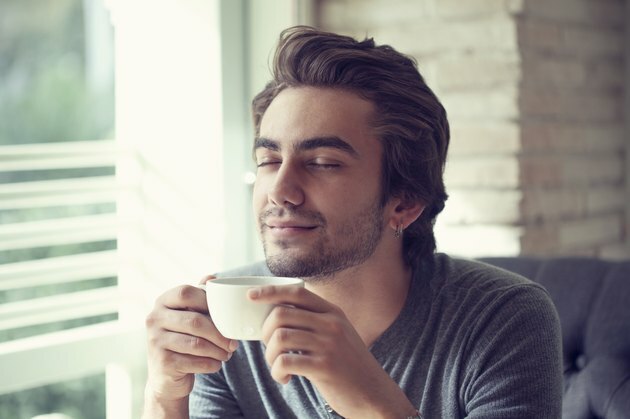 Some people are more sensitive to caffeine and feel better when they consume less. There is no evidence that excess caffeine leads to joint pain, but it may be possible. Joint pain might occur in any of your joints, including the knees, ankles or hip. In addition to causing pain, it can affect your mobility and quality of life. MedlinePlus notes that joint pain can be linked to muscle pain. Other causes include osteoarthritis, strain from overuse, bursitis and viral infections. Contact your doctor if your joint pain lasts more than three days to rule out chronic conditions as the cause. A study published in 2009 by the University of Illinois found that caffeine can help relieve acute joint pain associated with muscle aches. The participants were male cyclists who were either regular caffeine users or who used little or no caffeine. The participants were given a caffeine supplement or placebo before beginning to exercise. The results revealed that caffeine reduced pain during exercise, even in those who consume caffeine regularly. Gout is a form of arthritis that causes joint pain, swelling in a single joint -- often the big toe -- and a high fever. It's caused by too much uric acid in the blood, which forms crystals in the joint and is very painful. An extensive study revealed that consuming coffee can reduce the risk of gout. A study published in Arthritis & Rheumatology in 2007 documented over 700 cases of gout. Data collected from questionnaires that met the American College of Rheumatology survey criteria revealed that there is a correlation between long-term coffee consumption and a lower risk of gout. The study does not verify whether the caffeine in coffee is responsible for these benefits.